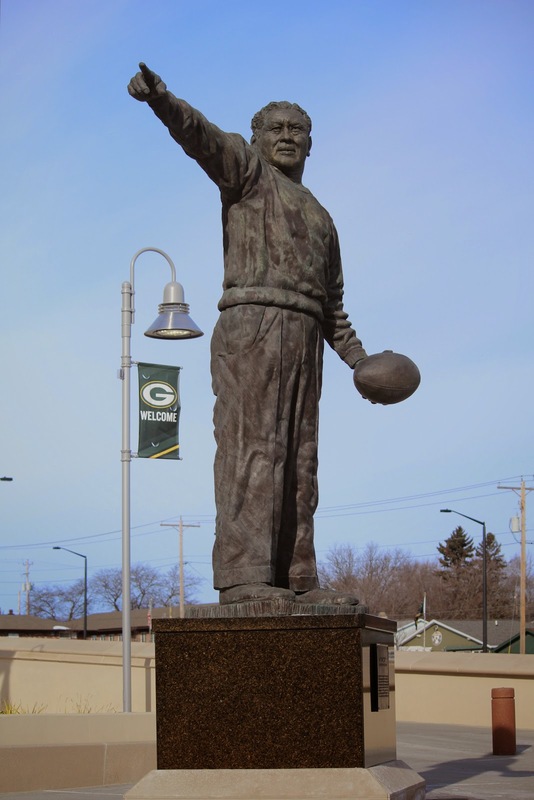 The marker is located adjacent to the parking lot at the Lombardi Avenue entrance to Lambeau Field on eastbound Lombardi Avenue / County Highway VK, east of its intersection with South Ridge Road, at 1265 Lombardi Avenue, Green Bay, Wisconsin 54304.
the statue is much bigger in real life that it appears in the photos . . . 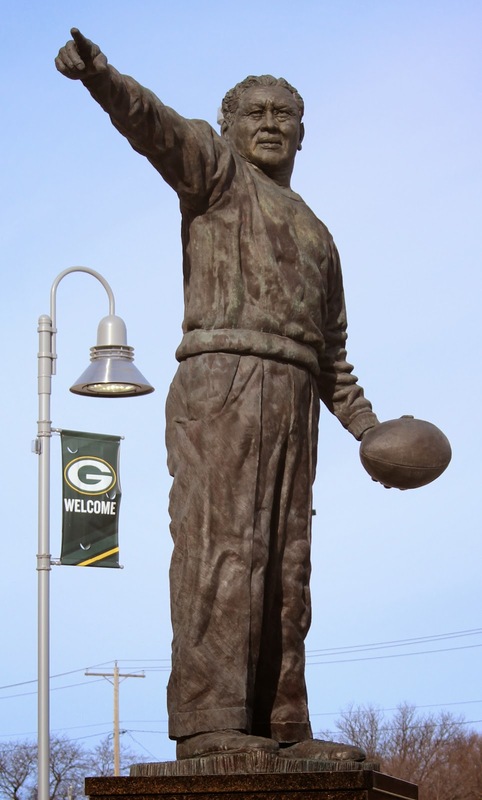 The Curly Lambeau statue is on the right. 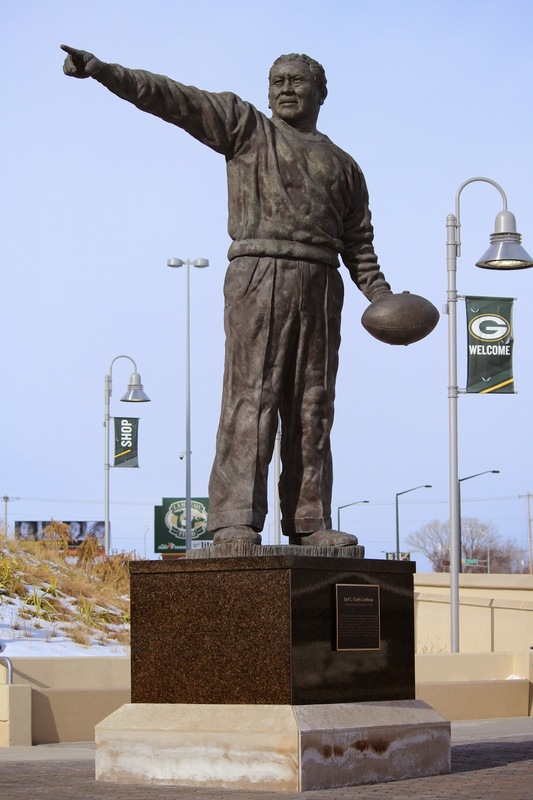 The statue and marker are located at Lambeau Field.